Evan McCullough graduated from Morehouse College where he obtained a Business Administration degree with a concentration in Marketing. 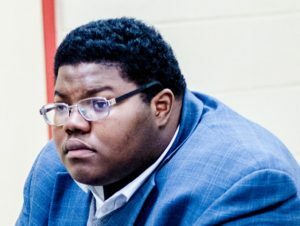 Currently he works in IT where he oversees STEM based projects. His passion is employed when he shares his talents as the founder of Students Talking Out Problems Inc. a 501-c (3) nonprofit organization. He tactfully employs the knowledge gained from these various disciplines when creating and executing strategy as the Founder of S.T. O. P. Inc. The launch of the high school program in 2006 was inspired by a team of students whose need for change was accommodated by creating a forum where students can stop negative problems and talk out their issues. As the co-founder, a simple school program would soon manifest into something of grandeur due to the instrumental vision of Evan McCullough. His diligence transformed the program into an organization that would not dissipate after graduation from D.M. Therrell High School. 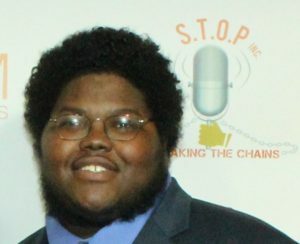 Evan is the Youth & Young Adult Committee Chair of SocialGeorgia and has held previous leadership positions as a Resident Advisor at Morehouse College and the Youth Development Chair of the civic organization NPU-V. He plans to utilize his entrepreneurial spirit and great work ethic to deliver superior service to youth and others he meets throughout life. His goal is to give youth a voice so they can broadcast their agenda and be the solution to various problems discovered in the world.